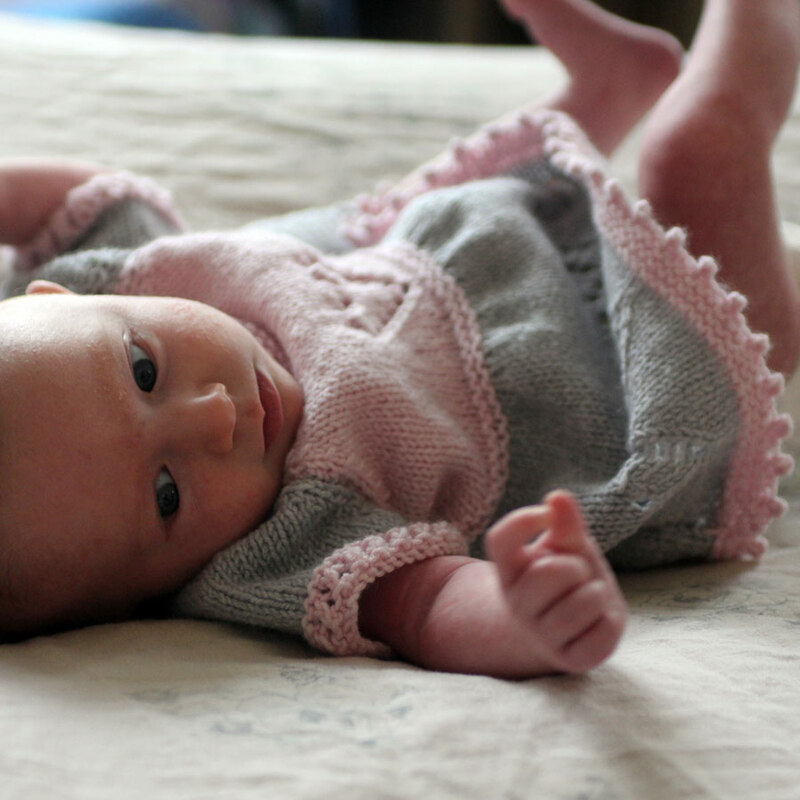 Pure cashmere baby dress with a pretty picot cast on and heart lace motifs all around, and double eyelet detail on the cuffs. This dress makes a perfect gift for a newborn. 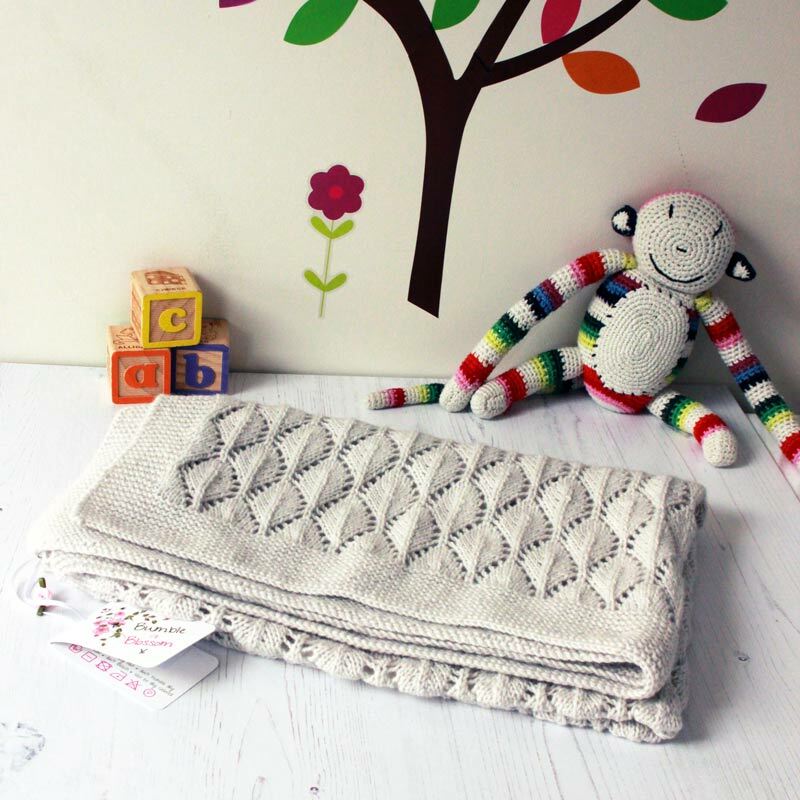 It can be made in one colour or with various 2 colour options. Also available with matching bloomers. 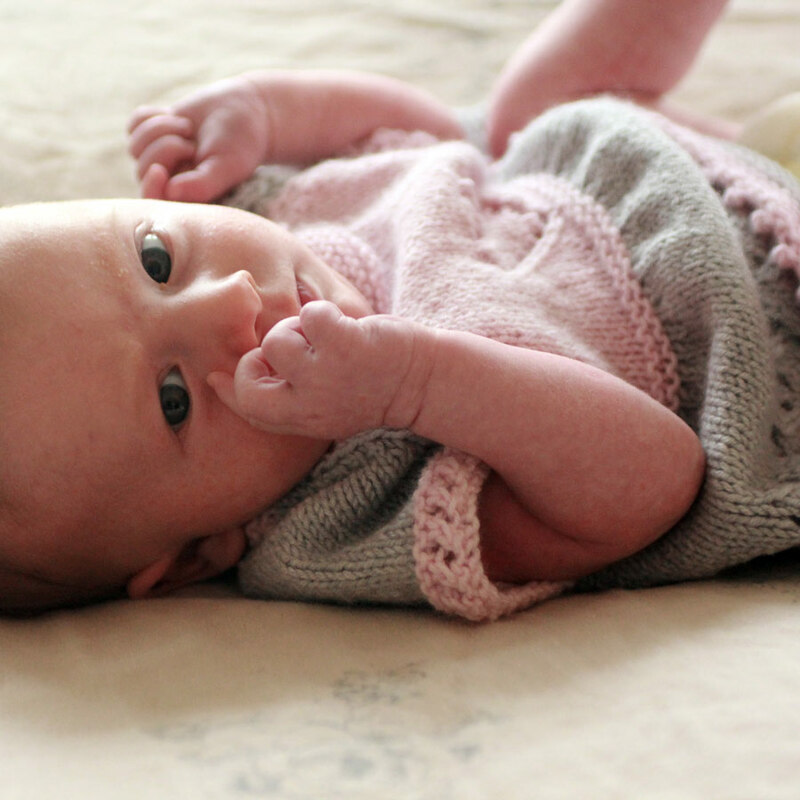 Pure cashmere baby dress with a pretty picot cast on and heart lace motifs all around, and double eyelet detail on the cuffs. 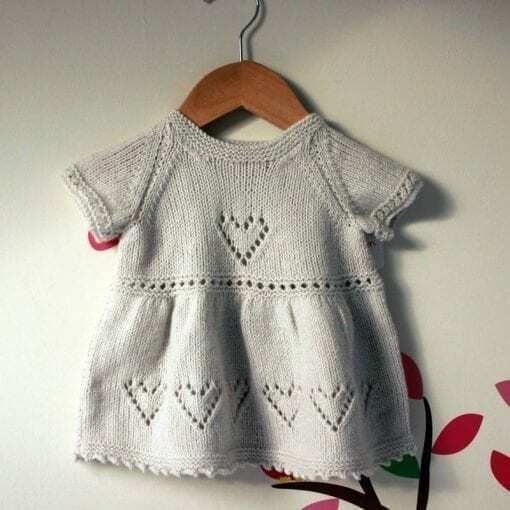 This dress makes a perfect gift for a newborn. It can be made in one colour or with various 2 colour options. This pattern is also available in my Ravelry Store where you can see how this dress turned out for other knitters. I have made this dress-although not in the recommended yarn. So it is almost as nice. 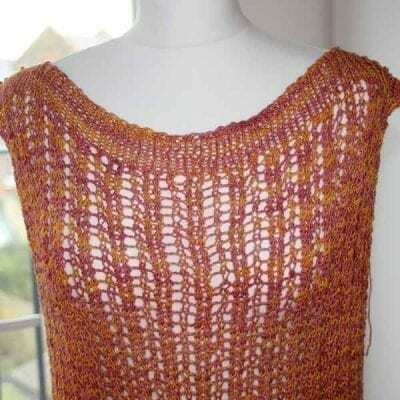 It is fun to knit, very easy and straightforward with seams up the sides and for the sleeves. It has fun heart motif, picot cast on at the hem, and eyelet feature on the sleeves. I left the button off and just made the cast off at the neck very loose. A charming matinee jacket pattern is also available or soon to be available to go with it. Having already knit the pattern I can confirm it’s very straight forward to produce such a beautiful item of clothing.